When author/illustrator Vesper Stamper was growing up in New York City, she didn’t know anything about the Holocaust. The persecution of the Jewish people simply wasn’t mentioned in her family home. Reading her illustrated novel, “What the Night Brings” makes that hard to believe. Vesper’s fictional tale of teenage musician, Gerta Rausch, who is taken from her home in Germany to Theresienstadt, Auschwitz and finally Bergen-Belsen, is rendered with striking realism. It’s not just the meticulous details of life in the camp that makes the book feel so authentic; it’s the way Stamper renders Gerta’s interior life, as well as the emotions of the other characters. The book begins with liberation at Bergen-Belsen, then cycles back into Gerta’s past, gradually answering questions about who she is. It describes her life as a young girl in Germany, the daughter of a Jewish widower musician. Her stepmother is not Jewish and, for a time, the family manages to pass themselves off as German with fake paperwork. When she and her father are finally taken, Gerta doesn’t know if her stepmother has betrayed her. But Gerta is lucky: She’s a violist, so she is incorporated into the camps’ orchestras, which saves her life. Because she is a teenage girl, Gerta goes through many adolescent rites of passage in the camps, including first love — and first betrayal. As in so many of the best camp accounts, Stamper effectively conveys the strange juxtaposition of the unremarkable everyday with moments of shocking depravity. While the writing and structure of the novel are both compelling, they are significantly enhanced by Stamper’s lovely monochromatic illustrations. Prior to publishing this book, Stamper had been both an artist and a touring musician. After being rear-ended by a texting driver, however, she was left with one arm mostly paralyzed, which ended her musical career. So she went on to a master’s program in illustration, which is where the original concepts for this book were created. The choice paid off, as the images, even small incidental sketches of a plate and cup, embroider the text and amplify the impact of the story. To be sure, there is no shortage of Holocaust books and movies, and for many of us a certain degree of fatigue may have set in. 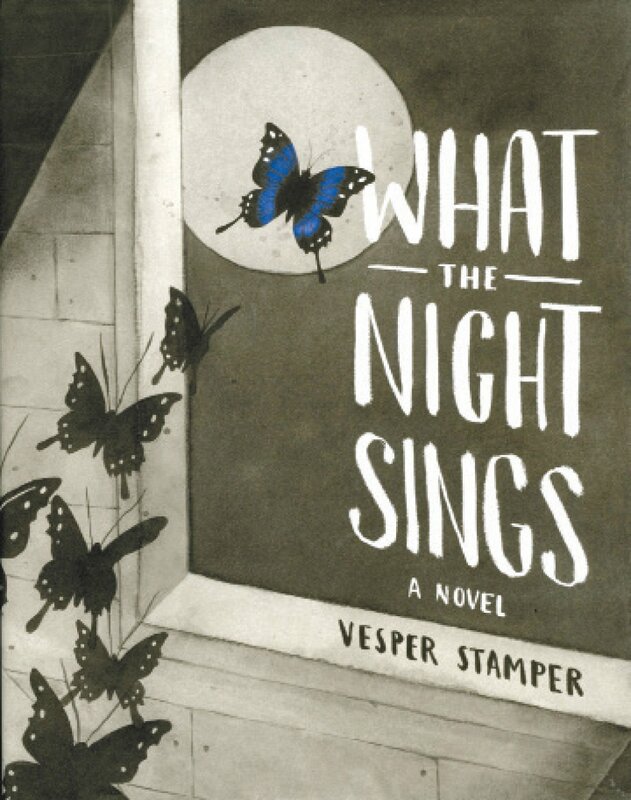 But “What the Night Sings” is different, as it incorporates a vision of Gerta’s life before the camps, during and, most significantly, afterward, when she is a refugee. This piece of the story — what happened during the years between liberation and successful immigration — is frequently left out, and it couldn’t be more timely. Though this book is marketed to young adults, it’s a powerful read for people of any age. There is still more to learn and understand, it turns out, about this tragic time in our communal history. There are innumerable ways people handle grief. Whether they move on — and how — is sometimes lost in the fold. 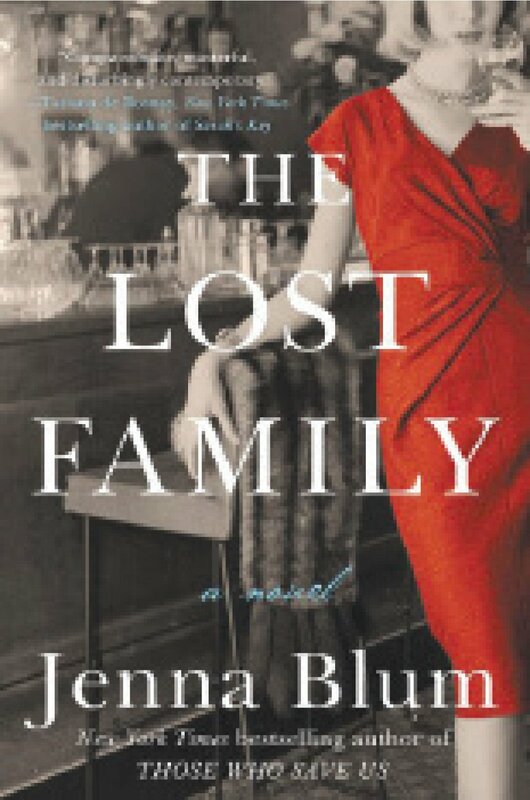 “The Lost Family” seeks to delve into that process of moving on after a tragedy through Peter Rashkin, a handsome restaurateur in New York City with a tragic past. When the book opens, Peter is in his 40s and owns one of the city’s most popular restaurants, Masha’s, with regular guests such as Walter Cronkite (who has a burger named in his honor with a very specific side dish of “No Vegetables At All”). Soon, we learn the restaurant is named for his late wife, Masha, who died in Auschwitz with their young twin daughters. Peter survived. He is content to hide his grief by remaining busy in the kitchen and maintaining a routine until he meets June Bouquet, a beautiful young model who comes by Masha’s one night. The two begin a passionate love affair, despite their age difference, and create a family of their own after an unexpected pregnancy. Peter believes this is his chance to start anew, which, while a notion punctuated by hope and optimism, also places an intangible and heavy burden on June. The novel spans three decades, from the ’60s to the ’80s, through the perspectives of Peter, June and their daughter, Elsbeth. Through these characters, book’s title takes on new meaning. These Rashkins, too, are lost. Peter’s residual guilt for surviving, while his wife and children did not, manifests in different ways for his family now, who are very much alive. June struggles to preserve her own lost dreams and youth and entertain a burgeoning feminist ideology in a new era, all the while learning she cannot compete with the ghosts of Peter’s past. Elsbeth strives to become her own person while acutely sensitive to her parents’ pain, particularly that of her father, whose past she learns in bits and pieces. He is reluctant to talk about it. It’s a gripping and deeply empathetic look at the winding trail of loss and how its pieces are never fully recovered. In Peter, you feel the other side of war, what happened after it was over and how you move on — if you move on. June and Peter’s love for each other is real, but the after effects of the war and Peter’s past are too strong sometimes for both of them, and watching their love story unfold against passion and turbulence is heartwarming and heartbreaking. This article first appeared in the Philadelphia Jewish Exponent, a Jewish News-affiliated publication.